En Iwamura describes his work as “two-dimensional clay doodling”. 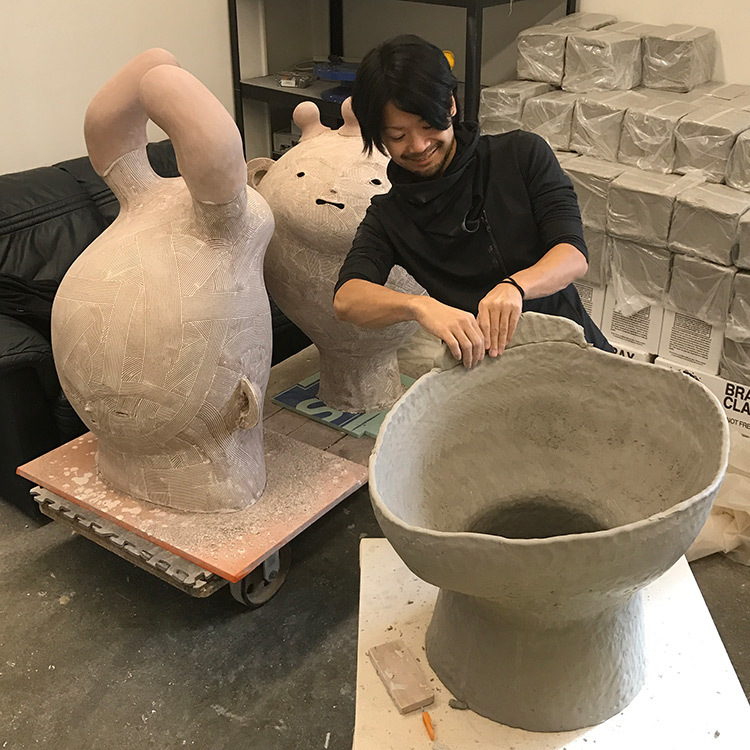 Incorporating layers of drawing, his hand-built ceramic sculptures draw inspiration from both American and Japanese historical and pop-cultural references along with his own life experiences. During his time as a long-term resident at the Bray, En is hoping to challenge himself to work on a larger scale and to strengthen his approach to glaze applications. Moreover, he is looking forward to the opportunity to exchange ideas and knowledge with other artists. En Iwamura was born in Kyoto, Japan. He completed both his BFA and MFA in craft from Kanazawa College of Art and Craft in 2011 and 2013, respectively. In 2016, he received a second MFA at Clemson University in South Carolina. En has exhibited both nationally and internationally in New York City, Seattle, WA, Kansas City, MO, Durham, NC, Japan, Canada, China and more. En Iwamura is the 2016-2017 MJD Fellow at the Archie Bray Foundation. To see more of En's work visit his website at eniwamura.wixsite.com.